When a tendon that runs along the front or side of the hip flexor experiences a popping or snapping sensation over a bone - this is referenced as Snapping Hip Syndrome. As the leg moves from flexion to extension, with involvement from the iliopsoas and/or hip flexor muscle, this when the one will experience with snapping syndrome. Snapping hip syndrome can be divided into different types: external, internal or intra-articular, which depend on where the snap is occurring. 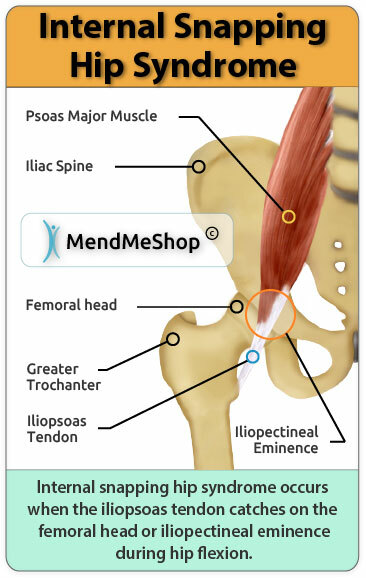 Internal snapping hip syndrome is considered the most common.